Two Sundays ago I headed up to Los Angeles to visit with my dear friends Paul and David for a fun Academy Awards soiree. I love those guys and it has been quite a while since I last saw them even although we all live in SoCal. (Alas, the Orange Curtain really does exist due to the crazy traffic). 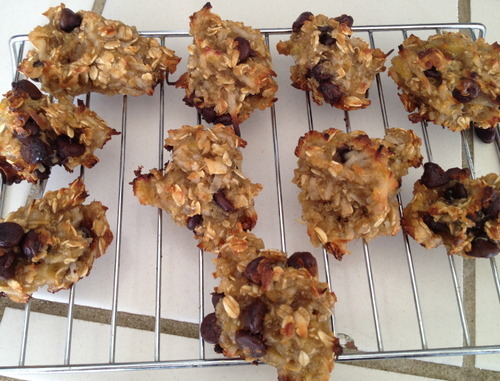 Anyway, I never like to show up empty-handed so I made a batch of chocolate chip quinoa cookies to ensure I could provide both yummy and healthy goodies since both they and their friends are in such good shape. The cookies were a hit! One of their friends even said I could sell baggies of these at Equinox gym promoting a “quick, delicious protein snack.” Hmmm… literal food for thought. • In a large mixing bowl, mash bananas with a fork. 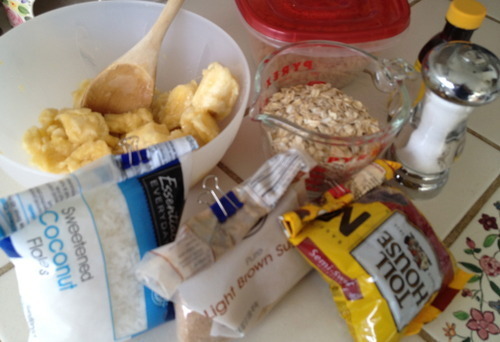 • Add pinch of sea salt, vanilla, cooked quinoa, oatmeal flakes, coconut flakes and brown sugar. • Mix until well combined. • Stir in chocolate chips. 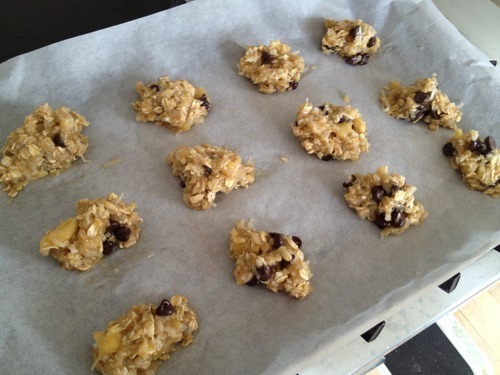 • Line a baking sheet with parchment paper and drop batter onto the cooking sheet. • Bake for 25-30 minutes. Don’t forget to line your cookie sheet with parchment paper! This is very important so they don’t stick. Cool them on a wire rack. So delish!